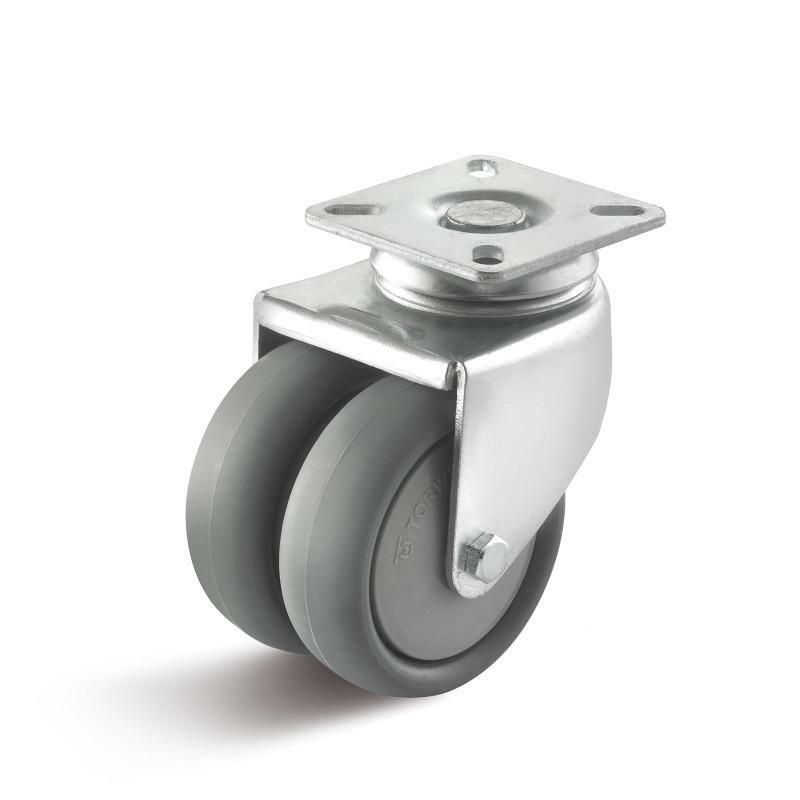 Smooth running polyurethane castor with polyurethane wheel - polypropylene wheel body with ball bearing - grey thermoplastic rubber tread, approx. 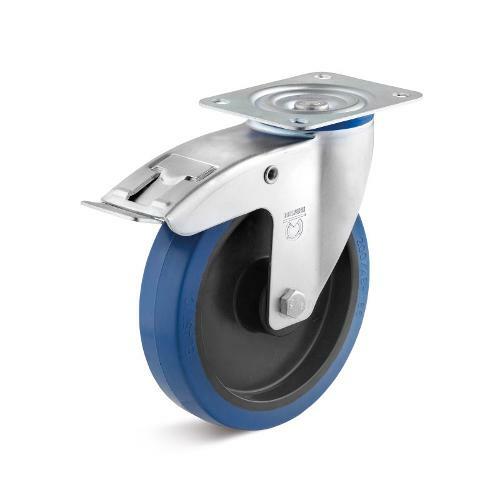 85° shore A - with thread guards to protect the ball bearing from dust and dirt Our apparatus castors are ideal for areas demanding low installation heights. Their slim design and high-grade materials help them to meet the demanding requirements that manufacturers have for shop equipment, medical equipment, display stands, office and household furniture usage. 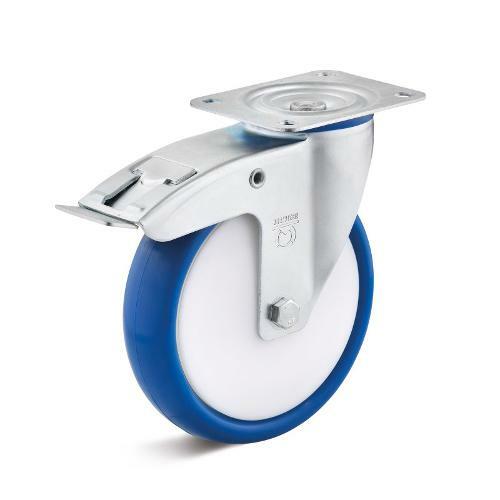 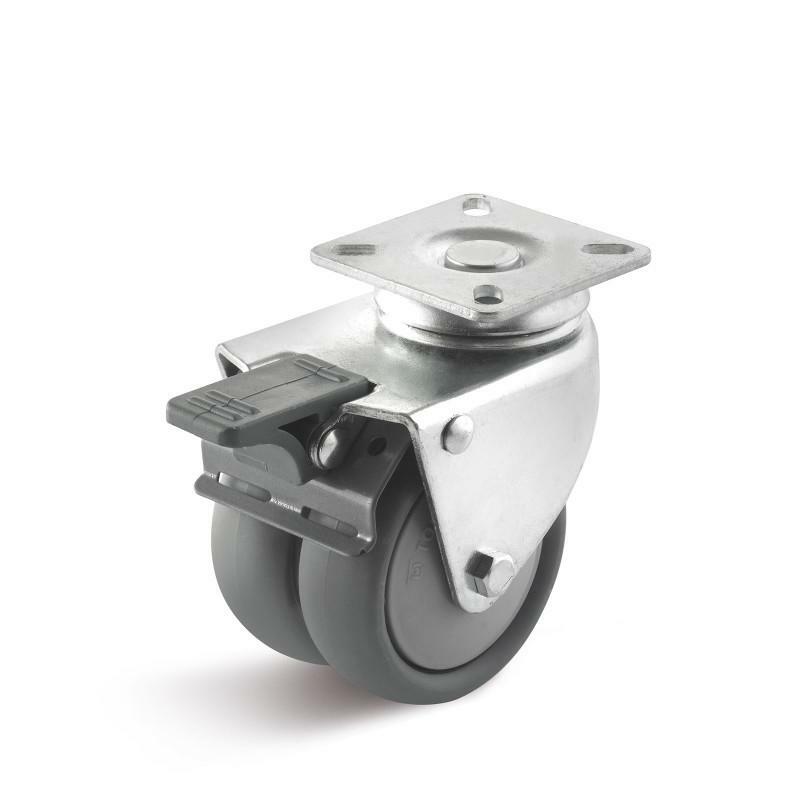 There are numerous mounting methods available so that these castors can be attached to a wide variety of equipment. 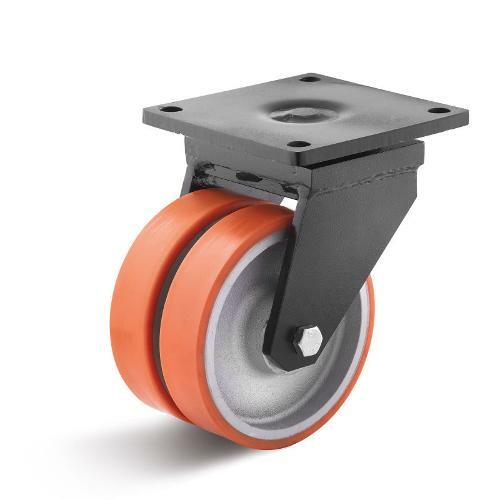 Thermoplastic (TPE) has a higher load capacity than rubber. 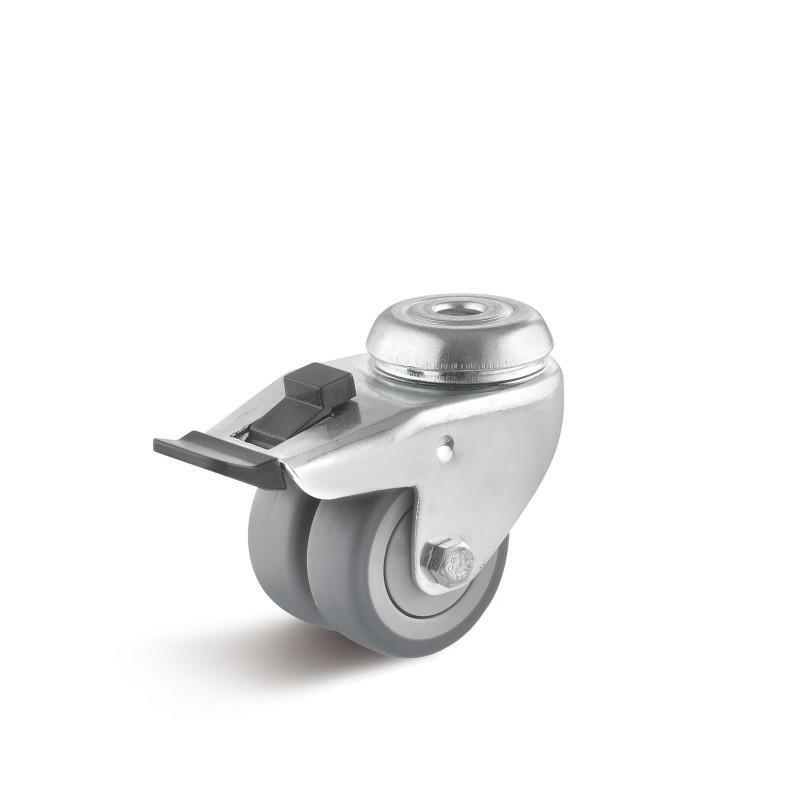 These grey tires minimize the impact on your floors, providing a comfortable ride without leaving traces. 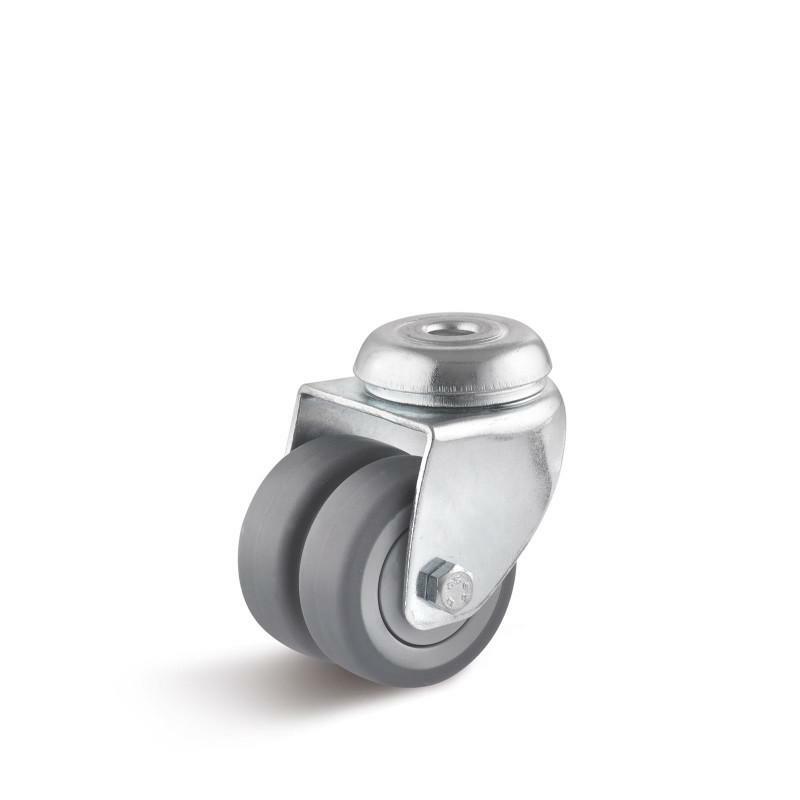 Some contact discoloration may result from the oil-bearing material when the tires are left motionless for longer periods on sensitive floors.